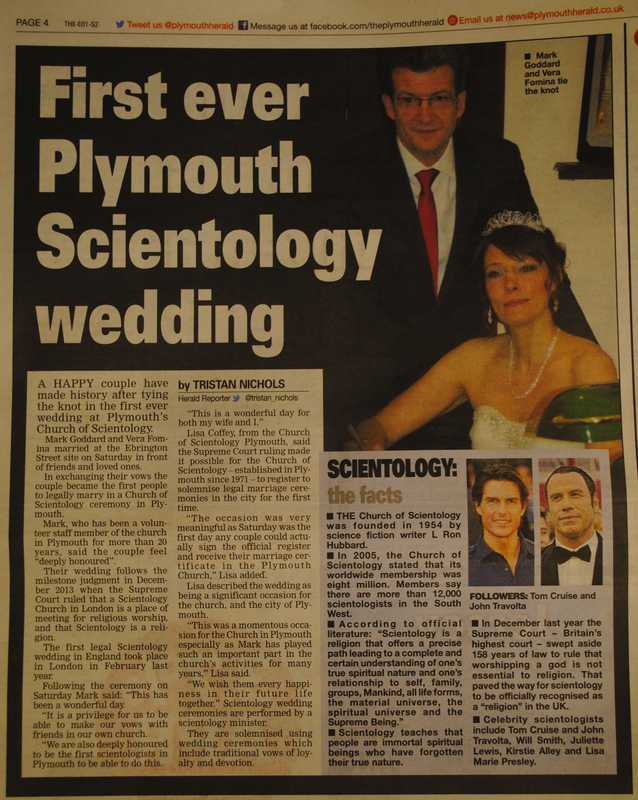 Another Scientology Wedding in the UK (Plymouth) – Does This Make a Difference? 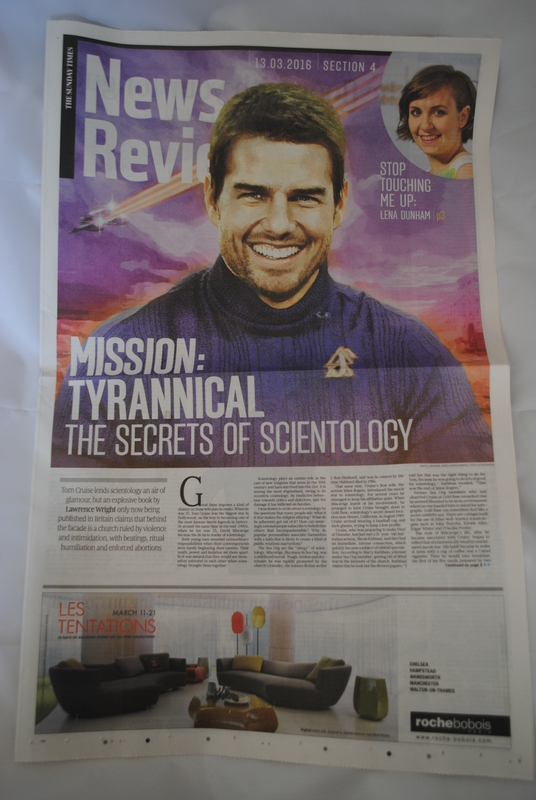 I couldn’t resist this Scientology-related story from a local paper in Plymouth in the UK (where I happen to live). The Church of Scientology seem to have embraced an opportunity to generate some positive PR which is essentially critic proof. Anyone who criticises a ‘Church’ wedding is going to sound mean. I sincerely wish this couple well. At the same time, we still need to examine the claims made in this article more closely because it contains a number of factual errors, distortions and omissions. After the break, there is a complete transcript of this news item, followed by my (slightly different) interpretation.